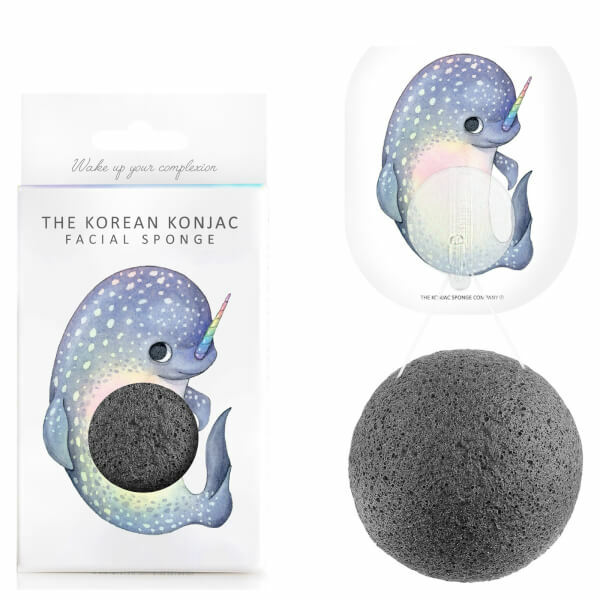 Create magically clear skin with The Konjac Sponge Company Mythical Narwhal Konjac Sponge Box and Hook in Bamboo Charcoal. Like all award-winning Konjac Sponges, it has been hand made with plant fibre in the volcanic hills of Jeju Island, South Korea, and is 100% natural and biodegradable. 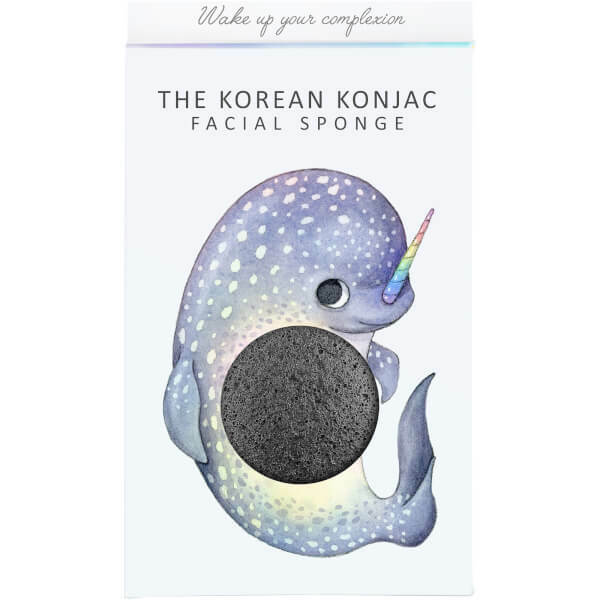 Enriched with sustainable Bamboo Charcoal which helps to draw out toxins, excess oil and impurities from deep within pores, the sponge helps to deliver a deep cleanse and reduce occurrences of future breakouts. Skin is left looking clearer, brighter and healthier. When you’ve finished, simply hang up the sponge on its narwhal hook to keep it clean.